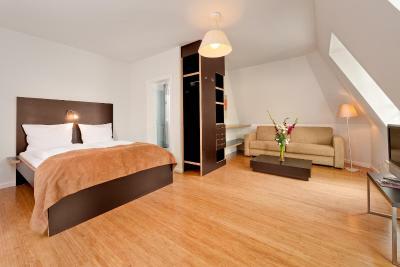 Lock in a great price for Das Gästehaus der Elb Lounge – rated 8.1 by recent guests! Very nice small hotel, just for our need in the area. Nice breakfast, and helpful people. Close to buses and metro. Good facilities and internet. The free tea, coffee, fruit, candy in the hall was nice. It is a very posh neighborhood and close to where I had to be. 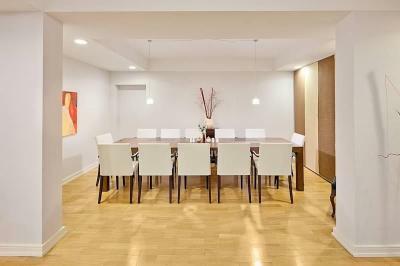 Pleasant ambience, modern and clean. Staff very helpful and friendly. 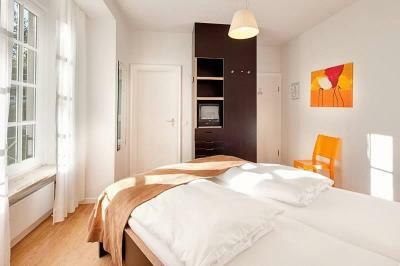 Very spacious room with a comfortable bed. The breakfast was good enough. Fruits and water compliment was really useful. 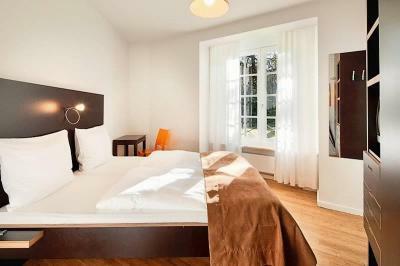 Very nice boutique hotel in a quiet suburbian area with garden. Very friendly staff, very clean. 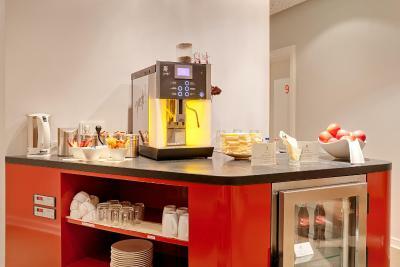 There is a tea and coffee machine for free consumation and mineral water and fruits for free. Taking the bus and the S1 you have easy access to the center of Hamburg. Also Blankenese with its restaurants and lovely ambience is quite near. 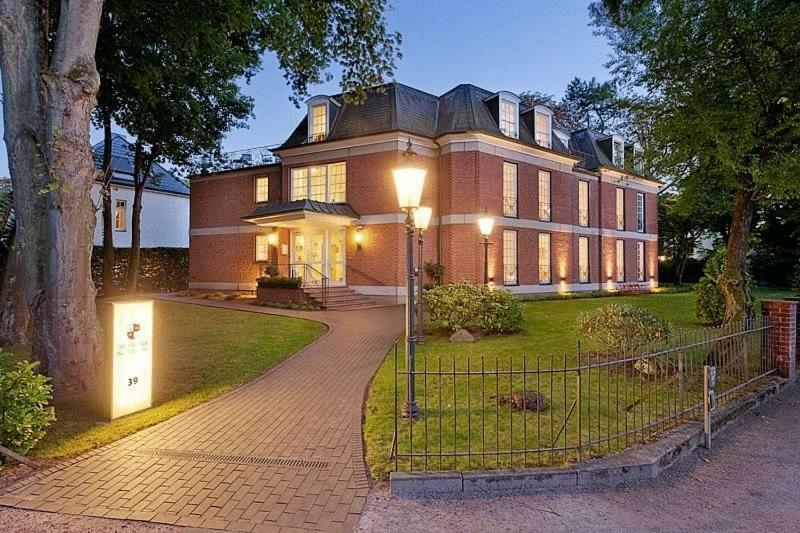 Situated among the homes of the wealthy in a tree lined suburb near Blankenese close to the wide Elbe River. 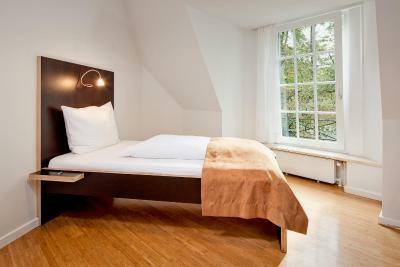 This is an excellent base for a several-day stay in Hamburg. Bus 36 or the S1 train are nearby. Lovely old building set in a park, near the station. We first booked for one night to see Hamburg before traveling back home. We soon discovered this wasn't enough, so we booked a second night there. Kind staff, that was no problem. We had a nice room on the 1st floor. Nice room with spacious bathroom. Breakfast was nice, everything was there. Also the underground parking lot was nice and included in the room rate! Overall good value for money. Breakfast Service was amazing. The Hotel staff was super friendly and helpful. 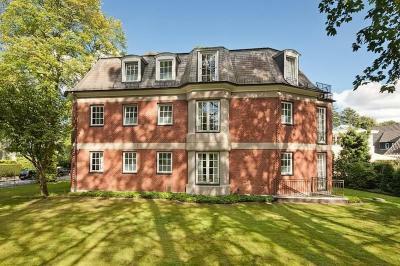 I can only recommend this property. 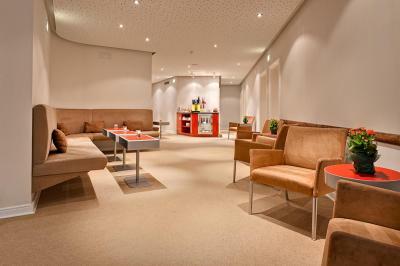 Das Gästehaus der Elb Lounge This rating is a reflection of how the property compares to the industry standard when it comes to price, facilities and services available. It's based on a self-evaluation by the property. Use this rating to help choose your stay! 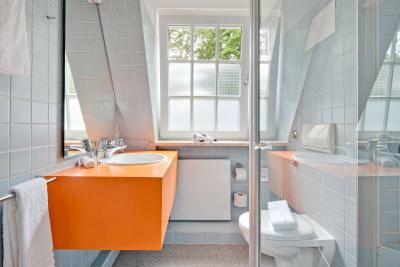 This small guesthouse is in the elegant Blankenese district of Hamburg. 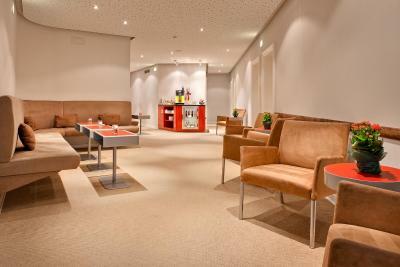 Water, tea, hot chocolate, internet and landline telephone calls within Germany are all free in the lounge area. 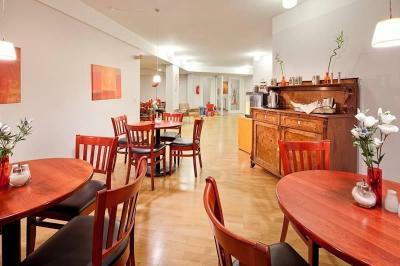 The privately run Gästehaus der Elb Lounge is surrounded by scenic parks. 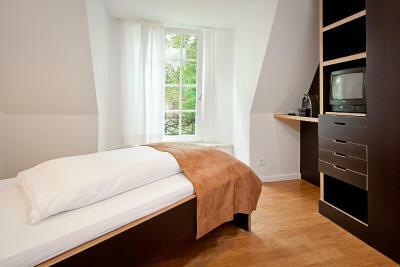 It provides non-smoking rooms and suites with cable TV, work desk, and balcony or terrace. A varied breakfast can be ordered each morning, and features fresh croissants, bread, fruit and yogurt, and hot and cold drinks. Guests are welcome to relax on the roof terrace during warm weather. The Blankenese S-Bahn (light rail) station is a 10-minute walk from the Gästehaus der Elb Lounge. Trains run to Hamburg Central Train Station in about 30 minutes. 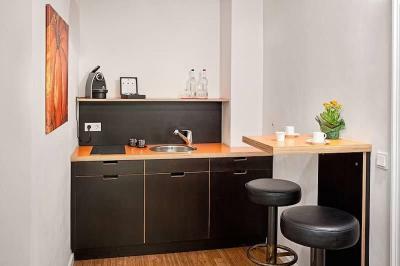 Free underground parking is available at the Gästehaus Elb Lounge. 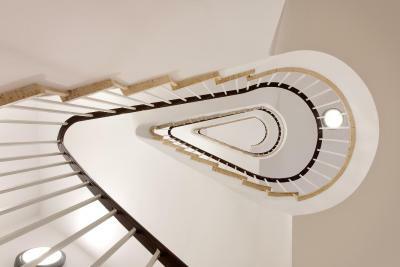 Blankenese is a great choice for travelers interested in walking, convenient public transportation and fish markets. 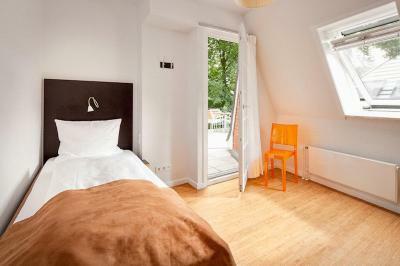 When would you like to stay at Das Gästehaus der Elb Lounge? 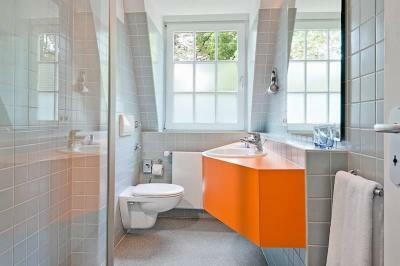 Small, bright room features modern-style interiors, cable TV and a private bathroom. Offers spacious living/sleeping areas and a modern kitchenette. 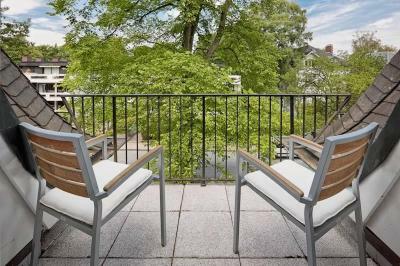 Hotel surroundings – This neighborhood is a great choice for travelers interested in walking, convenient public transportation and fish markets – Check location Great location - show map Guests loved walking around the neighborhood! House Rules Das Gästehaus der Elb Lounge takes special requests – add in the next step! Das Gästehaus der Elb Lounge accepts these cards and reserves the right to temporarily hold an amount prior to arrival. 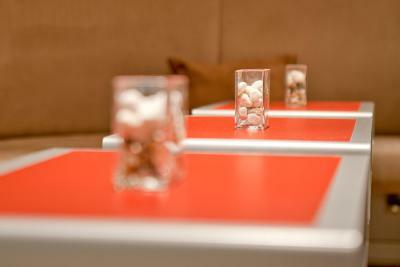 Guests arriving after 20:30 are kindly requested to inform Das Gästehaus der Elb Lounge in advance. Contact details can be found on the booking confirmation. WiFi was working very slow. Based on the reviews, I booked a double room single occupation. What I got was a double bed but with single room facilities: single bed duvet cover, one pillow, one towel. I reported it the next day because when I found out that it was a single duvet and the receptionist told me to report it at check-out. At check-out the, I think, manager told me that it was standard procedure. I have been in many hotels but have never seen that standard procedure. I think they have to review the standard procedure!!!! If I had known in advance I would have booked a single room. The rooms are as expected small, but plastic chair and ikea folding desk is very cheap, just leave them out would have been better. That there is no personnel after 2030 was known, but that it will take a hour to be available for guest is too long (colleague lost his key). The hotel is also very noisy, you will hear guest walking, cleaners hovering, alarm clock going of in level below at 0630, etc. Will not advise this hotel to others!!!! The rooms were very small, and it was very uncomfortable for me to get into and out of bed. The bedside lamp was a bit of a joke. As the room was so small, itvwould have been better to have the wardeobe unit in whote, not dark brown. The wifi, although good in my room, didn't reach the rooms my colleagues were in so they had to go into the lounge to access it. Single bed with single quilt seemed very small to someone used to double. the rooms were like dorm rooms small room and bathroom.beds were clean but comfort so so . It was also far away from resturants and coffee shops/shopping or any sightseeing.It is tucked away in the forest and residential area. The bathroom need to be upgraded. 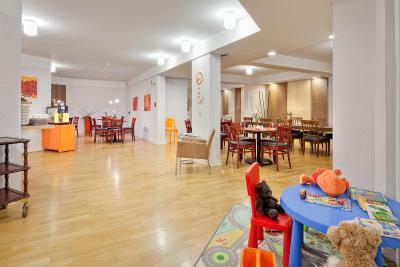 Second floor by stairs with a baby was not the best, but ok! Our room was quite small but functionable. You have a big common space with comfortable chairs in the Center of each floor and where could have the coffee machine and mineral water for free. There is a fridge but unfortunately it is not open. You have to get your drinks at the reception, which is ok, but the lady is leaving at 20:30 in the evening. Tiny little room, not even a bedside table. 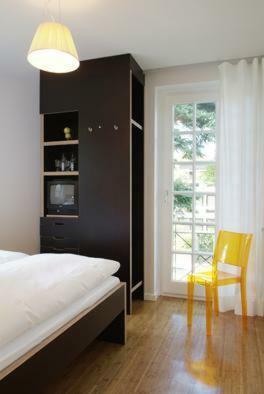 One plastic chair in the room. The beds were good, but they had a wooden edge, when you go to bed, be careful not to rub along with your leg. That's it.